On November 10, 2017 Jaaz Portal Ltd. will be guests at the upcoming Congress of Polish Entrepreneurs in London. The Congress has been arranged by the Polish Business Link organisation and will gather together representatives of Polish businesses throughout the United Kingdom. Jaaz is a Polish-British joint venture registered in the United Kingdom, but with an R&D centre in Warsaw, Poland. It aims at providing small and medium web hosting companies with a complete solution for average and unskilled users of social networks who would like to expand their presence on the Internet through professional websites. Currently, we are focused on finding the right investors for the project and forming strategic alliances. “The Polish Congress in London will be the perfect opportunity for networking. We hope to foster some enduring relationships and find some significant new partners there”, states Artur Radosz, Company Chairman. The company will be represented by Bishesh Guragain, our Financial Director. If you want to arrange a 1:1 meeting with him during the event, please contact us directly. 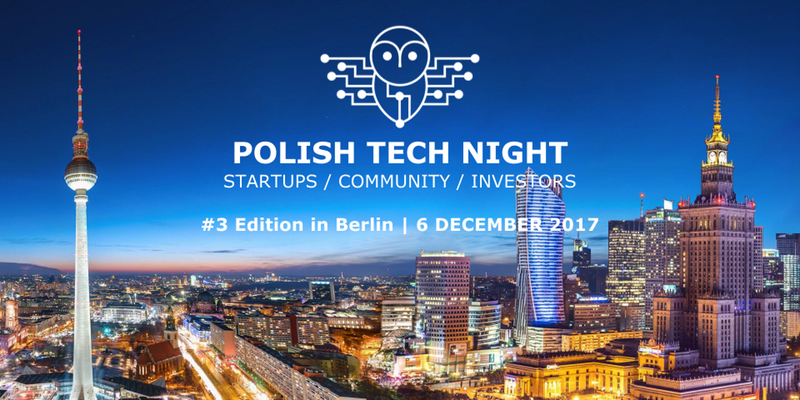 We are warmly inviting you to join us during the Polish Tech Night event that will be held on December 6 in Berlin. Join the Jaaz Revolution! 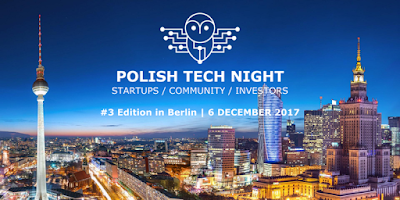 Polish Tech Night promotes the mutual benefits of German-Polish cooperation within the start-up industry in terms of investment, financing, knowledge transfer, and the development of common products and services. Polish Tech Night is working together with Polish and German organisations to provide a varied portfolio of potential partners and market players from start-ups, investors, small- and medium- sized enterprises (SMEs), and industry associations to showcase the ongoing successful cooperation between the two countries and share previous experiences. Jaaz Portal Limited is a Polish-British joint venture registered in London but with an R&D centre in Warsaw. Our company aims to provide a complete Blockchain-enabled web hosting solution designed for small and medium data centres that wish to open up the mass market of users who do not necessarily have technical skills. “Our presence in Berlin will be an opportunity to forge new alliances and to look for potential investors in the company”, asserts Artur Radosz, Company Chairman. Jaaz Portal – the company’s flagship product – is a highly integrated, out-of-the-box web hosting solution that will also be licensed as Open Source. Moreover, it will be available in commercial licensing schemes for any SMEs that wish to enable a new generation of web hosting services. If you are interested in making a connection with us or considering an investment, please contact us before or during the event. 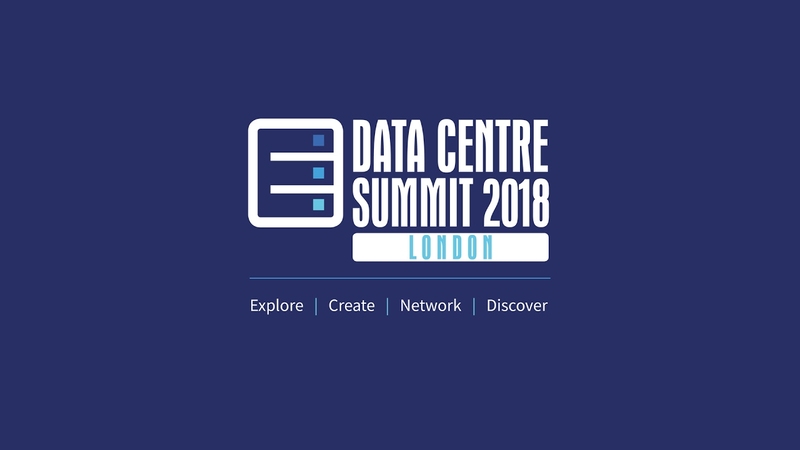 Meet Jaaz Portal Limited during upcoming Data Centre Summit in London on February 8, 2018. 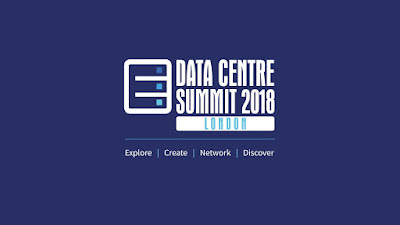 The Data Centre Summit London is a one-day conference for data centre industry professionals. Taking place at the Business Design Centre in Islington, the event brings together the data centre industry’s leading experts under one roof. Jaaz is working exclusively on a next-generation Blockchain-enabled web hosting solution for the mass market of individuals and organisations who lack technical knowledge but wish to have their own professional services. The software is specifically designed for small and medium data centres that would like to expand their presence to the market traditionally reserved for Internet Giants such as GoDaddy, OVH or BlueHost. “We are opening them up to the mass market. We hope to attract some of them as our strategic partners to help us in developing this software to best suit their needs”, states Artur Radosz, Company Chairman. Jaaz Portal will be available as Open Source but also as a commercially licensed product, with Free, Personal, Community and Business Editions. If you wish to reserve a 1:1 meeting, please do not hesitate to contact us before or during the event. (London, 24 October 2017) It is our pleasure to announce that Bishesh Guragain has joined Jaaz Portal Limited in the role of Financial Director. Bishesh will be responsible for handling our financial strategy while representing us in both the United Kingdom and internationally. As a highly proactive, competent and skilled accounting professional with a strategic entrepreneurial insight, Bihesh is ideally suited for this role. From a business family, he has a strong entrepreneurial background and sound financial understanding. Moreover, through his in-depth knowledge gained through his ACCA qualification and an MBA International Finance, he offers comprehensive business acumen and a keen vision regarding strategies for growth in numbers. 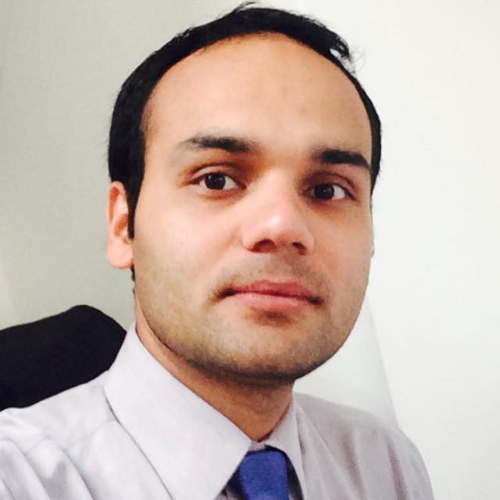 “We are happy to welcome Bishesh into our growing team. We believe that with his background and ability he will be strong player in both a financial and more general sense”, states Artur Radosz, Company Chairman. Jaaz Portal Limited is a UK-based company with an R&D center located in Poland. Through this, it can provide excellent quality IT services at a minimal cost. Since March 2017, it has focused on the development of the company’s flagship product Jaaz Portal - an ultimate, out-of-the-box web hosting service for average and unskilled users of social networks and bloggers. This has been an exciting week for us here at Jaaz. 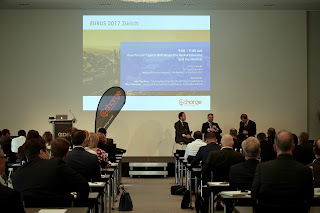 It all started with the Wolves Summit in Warsaw and ended with the EURUS Forum and European Super Angels Club Roadshow in Zurich. The latter two of which, I’d like to share with you. The EURUS Forum is a growing platform bringing together Private Equity, Venture Capital and Real Estate groups from all over Europe and beyond. 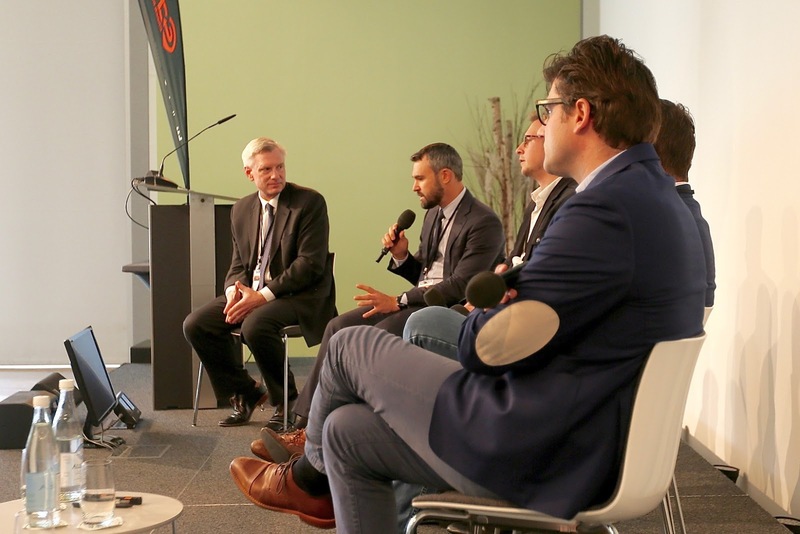 For this up-and-coming forum, this was their second annual event following the inaugural meeting in Vienna in 2016, and thus a huge test of their strength and capabilities, albeit one they passed with flying colours. 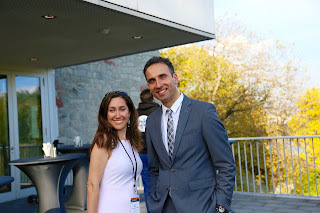 It started early in the morning, with a guest reception in the Gottlieb Duttweiler Institute (GDI), a wonderful venue with a panoramic view of Lake Zurich and the surrounding Alps, and one which advertises itself as a meeting point for the best minds. The conference, as with the delegates, was divided into three tracks – Private Equity (PE), Venture Capital (VC) and Real Estate (RE). Delegates were free to attend any session of choice in any of these tracks. This format facilitates cross-pollination of ideas and opportunities when, for example, VC firms take interest in propteq or when RE groups seek to partner with PE funds. I could only participate in the VC stream, but I fully believe that the others were also on the same, exceptionally high, level. The debate started with the topic of How Private Capital Shapes the Global Economy. Following this, within our track we had the opportunity for some snapshots on the latest technology trends, from FinTech to AI. In addition, we were given some invaluable advice from leading VC firms on how to building stellar start-ups as well as lessons learned from past mistakes. Having been given some fascinating insights to consider, we then enjoyed a short break for coffee and soft drinks. This provided the perfect opportunity for some networking and friendly chat with fellow delegates. After the break, we learned about some interesting potential directions for SaaS start-ups. This was followed by a debate on what drives LP allocation decisions in today’s fast evolving world. The carefully chosen panel offered some essential facts and unique insights for entrepreneurs wishing to know what lies behind successful investment decisions. Debate over, the guests settled down for an excellent dinner with three courses and a dessert. This provided another ideal occasion for networking and expanding our contact base in a friendly and engaging company. After lunch, heavyweights from EURONEXT and the London Stock Exchange discussed IPO trends, the exit climate and the benefits of taking private companies public. Following this, a moment of reflection took place, with a session dedicated to creating a new pan-European start-up ecosystem. 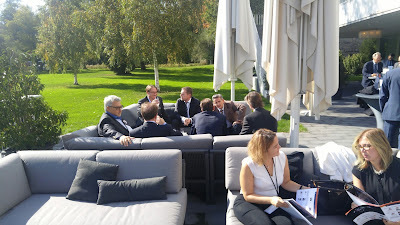 The afternoon break that followed was the perfect opportunity for refreshment and yet another occasion for networking. Finally, the remaining time was devoted to discussing corporate venture hubs and later listening to some engrossing real-world case studies. The conference ended with a networking party. However, many of the guests and speakers were eager for more. For them, Chris Houghtaling from Venionaire Capital, who also sits on EURUS Advisory Board, had prepared a second day of activities as part of the European Super Angels Club’s (ESAC) road show in Zurich. The next day I arrived early and was warmly welcomed by Chris. After coffee, the opening was headed by Berthold Baurek-Karlic, Founder and CEO at Venionaire Capital and ESAC Board Member, and also featured KPMG- another partnering organisation. Later on, we had the opportunity to watch pitches made by six companies (1 Hungarian, 2 Austria, 2 German and 1 Swiss) selected by the Club through a rigorous process. From vendors of venture capital support portal DealMatrix through to e-bracelets, to the AI-driven myAlfred, every presentation was at the highest possible level, and was followed by an engaging Q&A session. The European Super Angels Club is also a relatively new organisation that raised 2.5 Million Euros for their first three startups. Off to a good start with very high standards and potential, they are currently raising over 8 Million Euros for 7 startups with commitments to raise over 15 Million in 2018 already confirmed. If you are a start-up looking to raise your capital in Europe, you should definitively consider applying at https://www.superangels.club/. Investors can email Chris at chris@superangels.club to learn more about membership opportunities. Overall, it’s been a stimulating few days in Zurich under perfect blue skies and with a great mix of leaders to connect with. Many thanks go to the organizers of EURUS Forum and its Founder Aren Sarikyan. The Seed Enterprise Investment Scheme (SEIS) is an innovative initiative by the British Government that helps connect start-ups to investors. We have recently successfully applied for it, and received our certificate in September 2017. Read more on this initiative. The SEIS was launched by British Government on April 6, 2012 and, for the last five years, has helped thousands of entrepreneurs, both from Britain and overseas. To qualify, you must first register your start-up in Britain and your company must be in operation for no longer than two years. The most important advantage of SEIS is that the Government returns up to half the invested money as tax relief. There is, however, a limit to the investment, at £150,000. In addition, only £100,000 in total can be invested in the first year. Consequently, given that we have set our investment at £154,000, we have divided it into two stages: £70,000 to complete and launch the initial version of our product, Jaaz Portal, in the first year, and £84,000 in the second. However, we have subsequently discovered that we can, in fact, seek considerably more investment than the stated £154,000. This is because sums over £150,000 will be covered not by SEIS but instead by the Enterprise Investment Scheme (EIS). To be successful in convincing the investors, you not only need to correctly divide your investment deal, but it is also beneficial to receive confirmation from the government that your deal is SEIS certificated. This means you should apply for Advance Assurance – confirmation on paper that your company is approved for SEIS tax relief. While there are numerous accountancy firms which can prepare applications for a sum of around £1000-2000, we decided that the process is not overly complex, and thus prepared the application ourselves. The online application is even simpler than the original SEIS Advance Assurance and can be completed in around 15 minutes. The basic document required by authorities is the Memorandum and Articles of Association. The Certificate of Incorporation is no longer needed as the verification takes place online. The other important document is the company Business Plan. It must be written according to SEIS requirements and will form the basis for the certification decision. Be careful to edit your Business Plan appropriately because, after approval, you cannot change it. If you were trading before making the application, you will also need to present an accounting report, but this is not otherwise obligatory, and you can omit this step if you were not yet on the market at the time of application. If you have completed all the documents, you can apply for SEIS Advance Assurance online. 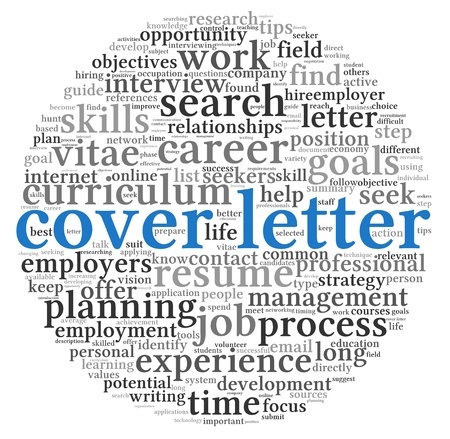 The process usually takes around four weeks, and, if you have written a suitable cover letter, the authorities may not ask additional questions. Read part II of the article here. Enclosed you will find a filled version of form number EIS-SEIS(AA) v1.0 along with supporting documents completed in support of an application for Advance Assurance on behalf of Jaaz Portal Limited (registration number 10651447), herein referred to as Company. Company will be providing Jaaz Portal software – a mass market solution for the Data Centers. We will be licensing our product, as well providing subscription based web hosting service of our own. We believe our offering meets the terms of a ‘qualifying trade’. Company has been active since 03/03/2017 and has no subsidiaries and is not a subsidiary of any other company. It is a privately owned limited company and is not listed on any public exchanges. There are no immediate plans to list the company publically. The company has 1 director, Artur Radosz. 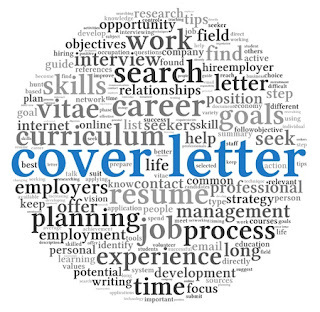 Company is based in the UK with the company’s address being 71-75 Shelton Street, Covent Garden, London, WC2H 9JQ. All of Company’s activities are conducted from the UK. Its web address is jaaz.co.uk. Company aims to raise approximately £154 000 in total via SEIS– the exact amount will be subject to the business’s ability to attract investment in exchange for ordinary shares in the company (eligible shares). This will be the company’s first outside investment of any kind including de minimis aid (none of which has been sought or received). All funds raised will be used for qualifying business activity. The funds will be deployed solely by Company and are anticipated to be predominantly spent on things. Company expects to be able to complete the declaration on form SEIS1 in due course. Company has not yet drawn up company accounts. Its assets total £0 comprising stuff on your balance sheet. To date, £0 revenue has been earned by Company. All information contained herein is true and accurate to the best of the director’ knowledge at the time of submission. We look forward to receiving the Advance Assurance and continuing our path to raising SEIS and EIS funding. Thank you.